It certainly has been a long haul over the past few years what with the economy shrinking, large companies announcing layoffs and consumers becoming far more educated and selective about who and what they chose to ‘invest” (formerly called spend) their money on. There are many factors that will affect performance this year, including leadership skills, training, ability to quickly adapt to an ever changing market and the culture that exists within the walls of your organization. With that in mind, here are 5 things you need to do address to survive, revive and thrive in 2013. Strategize – you need to provide superior value to your client base, demonstrate differentiation in your products and services, and be one step ahead of the competition for success in 2013. What is your strategy for moving forward in your market and possibly beyond into new or emerging marketplaces? Strategy is the route you will take, the tools you will employ and knowing the obstacles that lay ahead and having a plan to overcome them. By demonstrating sustainable competitive advantages over your competitors and any newcomers lining up to eat your market share, you will be creating the success model on which to build as the economy grows. 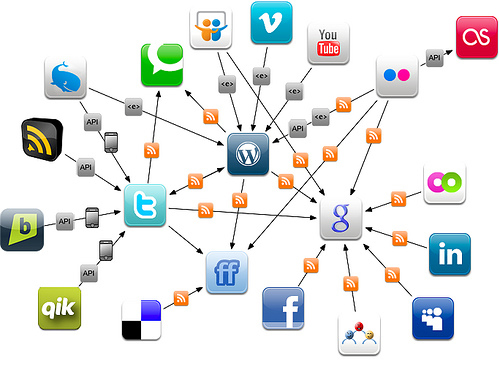 Diversify your social media tactics – that is assuming you are utilizing any tactics now. What is critical to the delivery of any message you need to send is the ability and willingness of your target to receive and understand it. The mediums for delivery have changed, viral can mean success, Facebook allows you generate followers, Pinterest is rapidly gaining a legion of users and your web tactics must take mobile applications into consideration. Reward your employees – one truth about recovering markets is that companies begin to take back what they let go years before. Opportunities for your employees to move elsewhere become more abundant. Will an employee that you had penciled in on the succession plan bolt for greener pastures? They will if they have been overworked, under trained, under appreciated or underutilized in your organization. Understand your Brand – review your brand. Is it still relevant, does it send the right message, has it stagnated? Look for ways to re-invigorate the brand. Lift its spirits, polish it up, put it on a pedestal and most importantly love it! When consumers feel the love that the company has for its own brand, it becomes contagious. Sell to a need – I have said it a thousand times, consumers don’t want to be sold something they don’t want, in a way they don’t like by a company they don’t know. What basic need does your product or service address? Have you determined if the prospect has this need either open or hidden? Is it really a need or simply and opportunity? If you try to sell an opportunity you will often be rejected. This year holds a great deal of promise to those organizations that plan now to capitalize on observed weaknesses in the market and their competitors. Follow the five simple tips above and thrive this year!